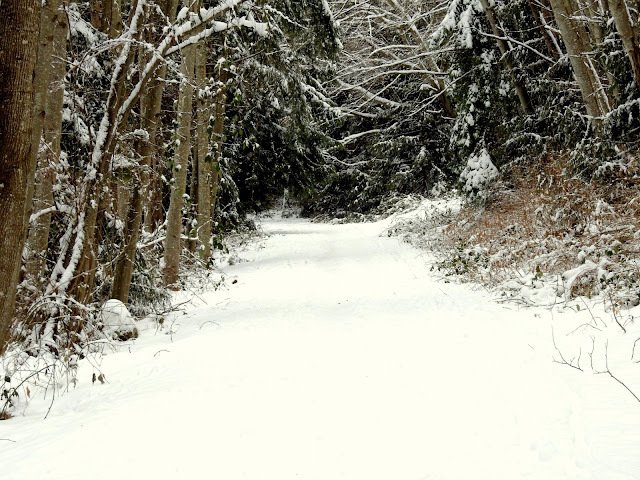 Another significant snowfall hit the lower Mainland on this weekend, so I decided to stay close to home. On the Saturday I concentrated on the backyard. 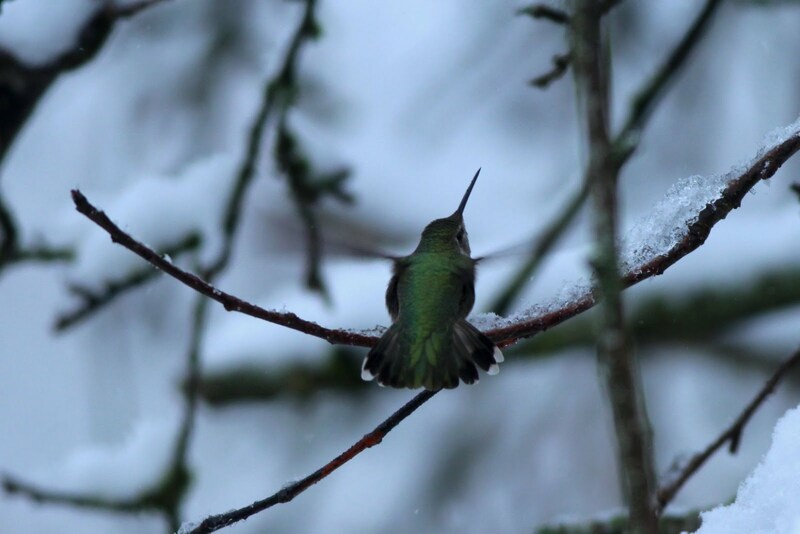 During the snow and cold we've kept the suet and seed feeders filled and ensured the hummingbird nectar was not frozen. 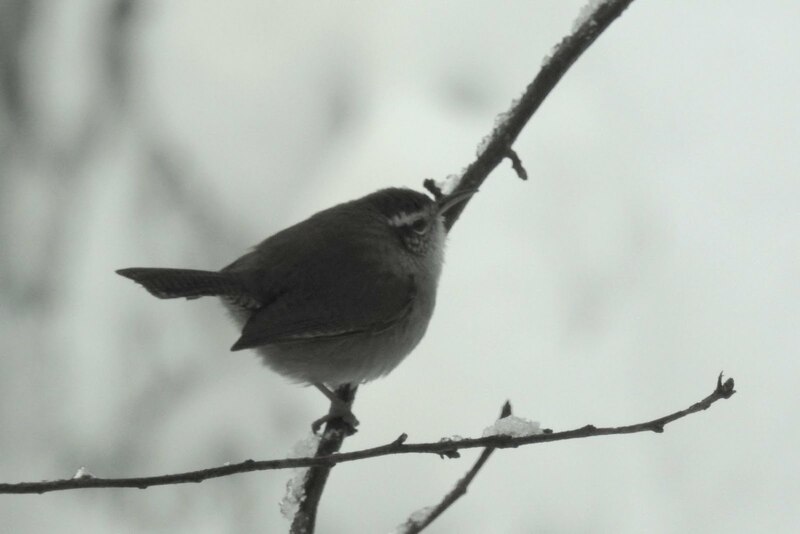 A very regular visitor to our yard is the Bewick's Wren. It has a loud and distinctive call and is often heard but seldom seen. In 2016 I heard it many times, but rarely saw it and never got a photo. On this day and the following, I got some opportunities. 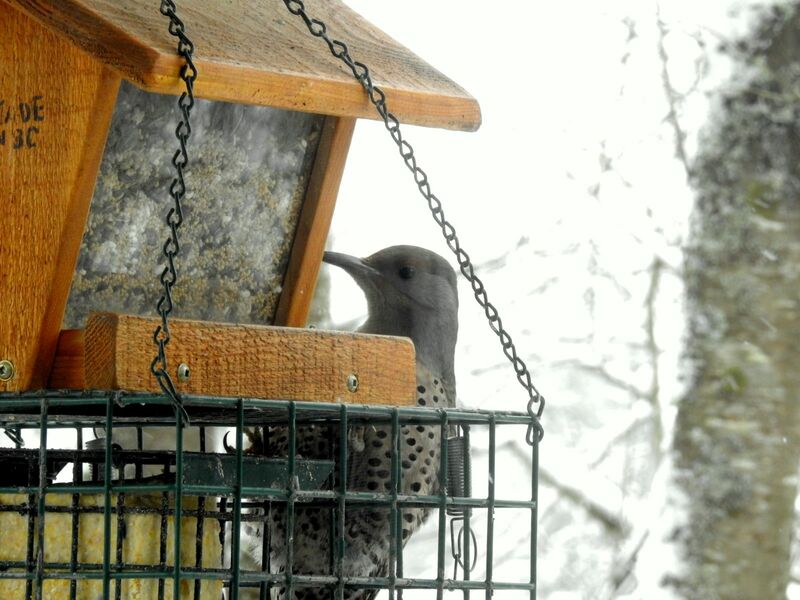 I first saw it in the suet feeder, which surprised me as I'd never seen one in there before. Perhaps it was a cold-weather last resort. I got this photo a bit later. And now you don't (about 1/5 second later). Here's one more shot using the Nikon Coolpix, resulting in a different colour tone. 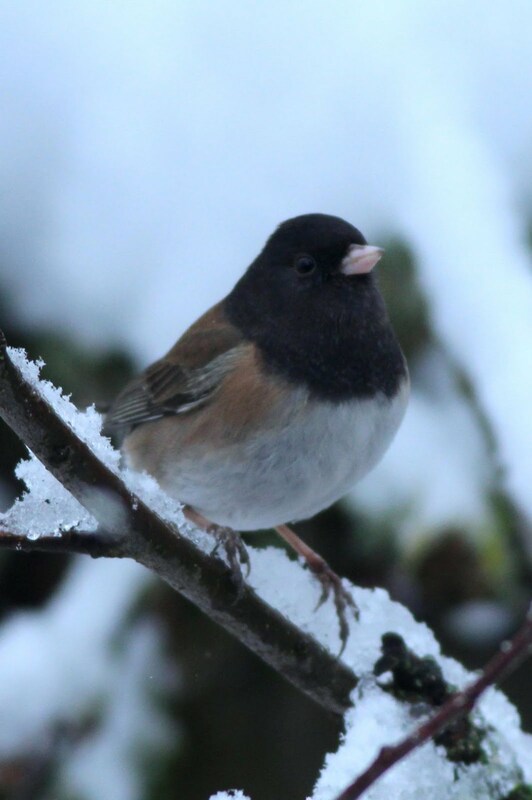 Our constant backyard residents in the winter are the Dark-eyed Junco and the Black-capped Chickadee. 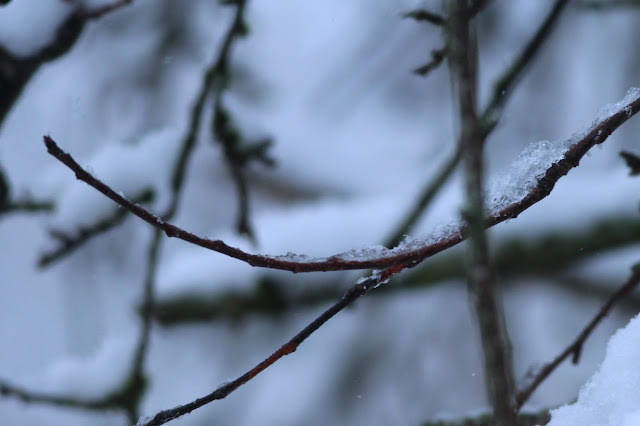 The Junco we see on the west coast is of the Oregon Race, which was considered to be a separate species until the 1980's when most Junco races were lumped into one species. The Juncos in the East are uniformly dark. 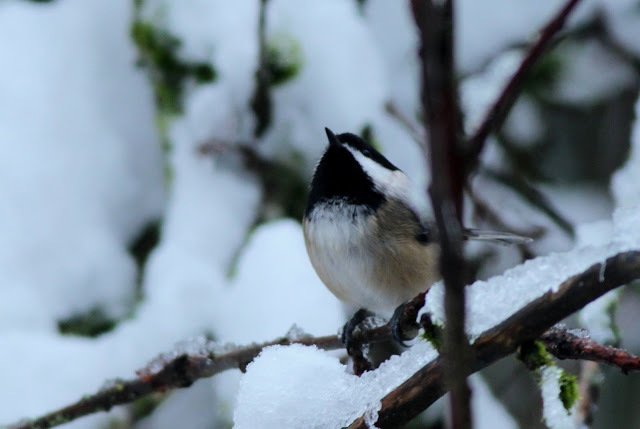 And here's a Chickadee showing that the snow doesn't bother it at all. This day was Superbowl Sunday, so I planned to be home for the game. I decided the closest place I could go birding was Burns Bog. 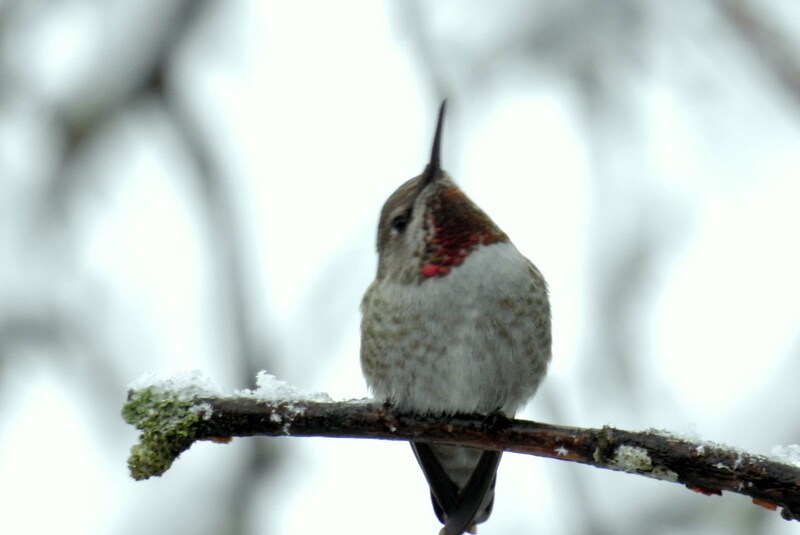 It was another snowy day on the Nature Trail in the bog. Almost immediately a bird caught my eye, possible a Robin. 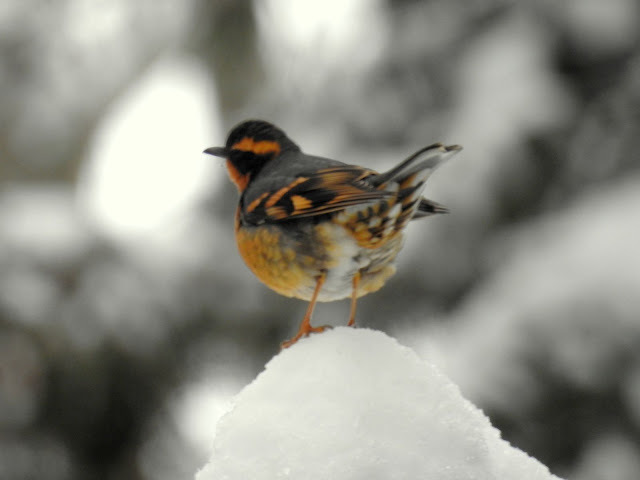 I zoomed the Nikon in and discovered it was a Varied Thrush. I only had a second or two and did not get a perfectly focused shot. The species numbers here are out of order, I saw two others earlier but they appear later in this post. 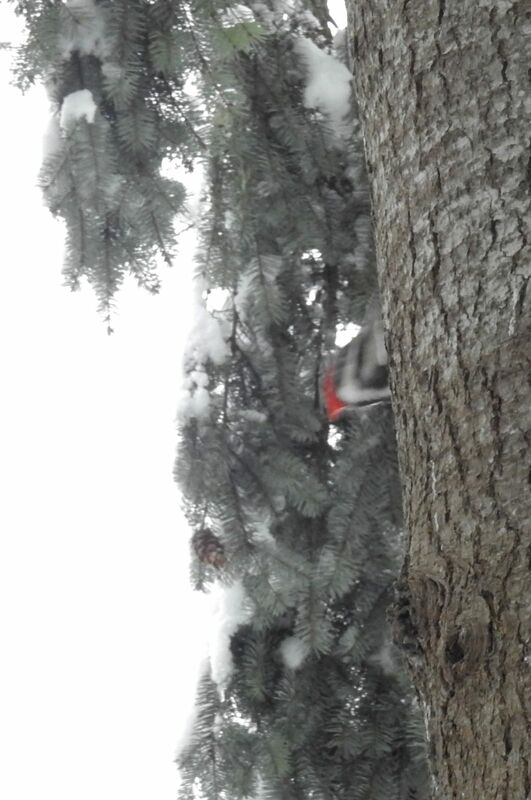 I heard and saw another bird that I figured must be a Pileated Woodpecker, but only managed this very poor shot. I did not relocate it even though it was probably still on the same tree. 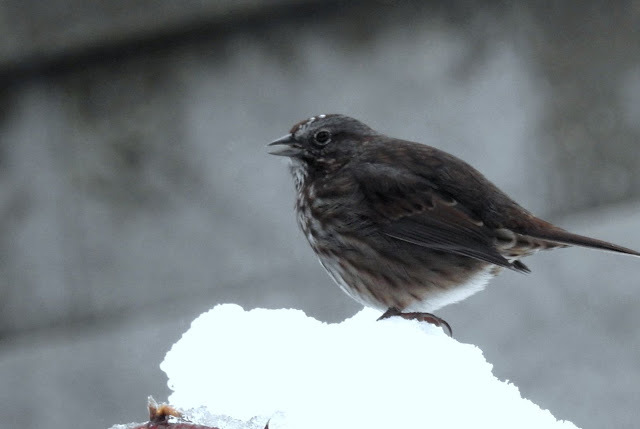 The last bird from the bog was this Song Sparrow, trying to keep as warm as possible. Back at home, I decided to set the Nikon up on my tripod and focus it on the suet feeder, which also had a seed feeder on top. I cleaned the window so I could get some clear shots and then used a Nikon IPhone App to view what the camera was seeing and take photos remotely. The first shot was a Northern Flicker attempting to get at whatever it could. I took about 40 photos over the course of an hour, but pared it down to these ones below. 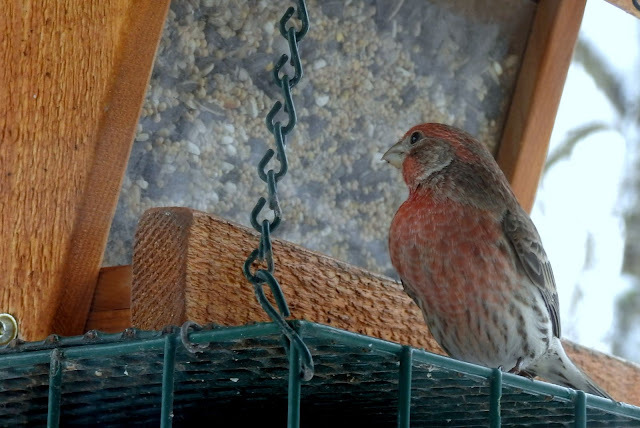 The first is a male House Finch. I'd seen the female the day before but the photos were very poor. 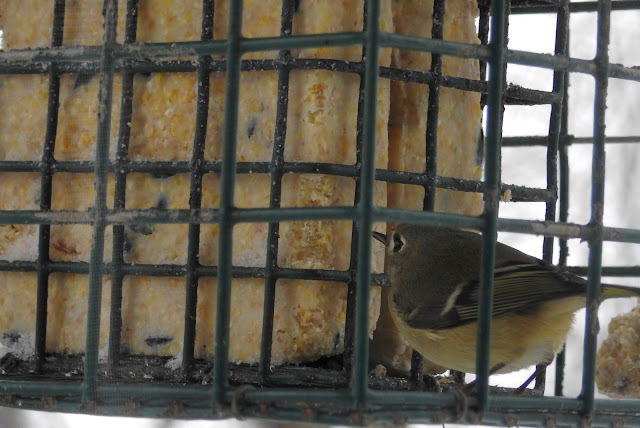 Earlier in the day, I'd seen a Rub-crowned Kinglet in the Suet feeder. This was my motivation for setting the camera up for remote-controlled shooting. Here's one taken using the set-up. 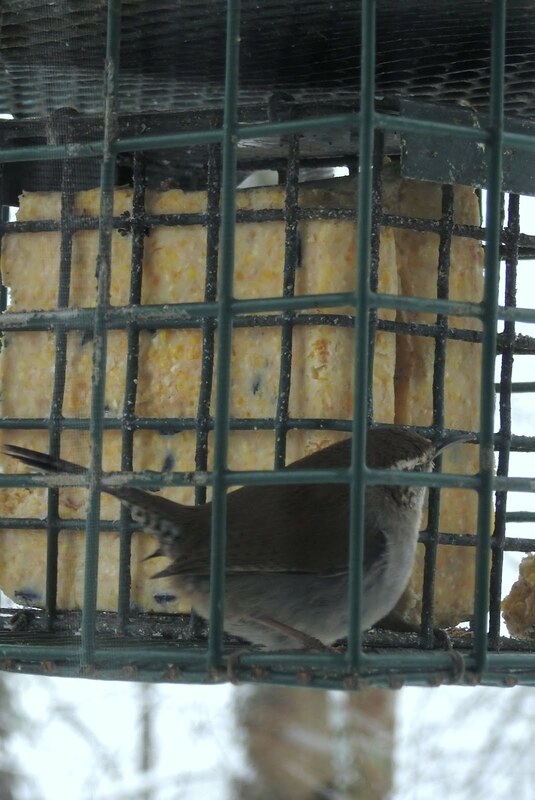 The Bewick's Wren was visiting the suet feeder frequently. That was it for this weekend. The next one was the Family Day long weekend and I'd be active all three days.